Rooted in the science of Applied Behavior Analysis, ABA is one of the most effective treatments today for children with autism. Individualized treatment to improve skills such as oral motor, articulation, auditory processing and having conversations. In-home support from a team of Habilitation Providers working directly with your child to teach all types of life skills. An Early Intensive Behavioral Intervention (EIBI) program for young children with autism. A fun group environment to help kids develop social skills and make new friends, facilitated by speech & language specialists. Empowering parents and caregivers with skills to manage and improve highly challenging child behaviors. 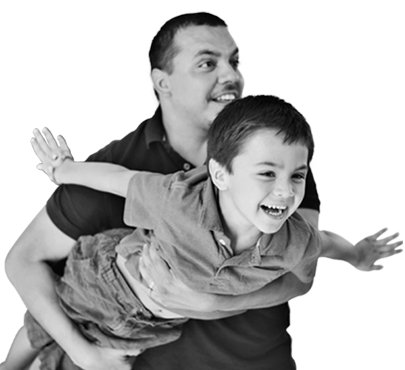 High quality short-term childcare in the home to provide relief for parents and caregivers. Sibshops is a fun and nationally recognized program with workshops for siblings of children with special needs. The Outreach Team at AZA United provides support, answers, and guidance for many challenges that families face. Presentations for school classrooms and other entities to increase autism awareness and inclusion. A wide variety of contracted services for public, private, and charter schools. AZA United helps children learn how to ride a bike by loaning balance bikes of different sizes to families at no charge. Parents and professionals of all kinds convene once a year at AZA United's Transdisciplinary Autism Conference.